The ultimate software tool for financial analysis. Excel definition: a software program created by Microsoft that uses spreadsheets to organize numbers and data with formulas and functions. Excel analysis is ubiquitous around the world and used by businesses of all sizes to perform financial analysis. Check out CFI’s free Excel Crash Course here! Excel is typically used to organize data and perform financial analysis. It is used across all business functions and at companies from small to large. Almost anything that needs to be organized! The Excel software program includes many functions, formulas, and shortcuts that can be used to enhance its functionality. Excel is used extensively in finance and accounting functions. In fact, many organizations run their entire budgeting, forecasting, and accounting functions entirely out of Excel spreadsheets. While Excel is defined as a “data” management tool, the data that is most commonly managed is financial. At CFI, we would define Excel as the ultimate financial software. 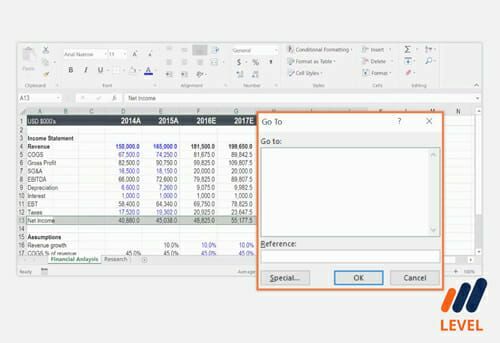 While there are other pieces of financial software that are certainly tailored toward performing specific tasks, the strongest point about Excel is its robustness and openness. Excel models are as powerful as the analyst wishes them to be. Accountants, investment bankers, analysts, and people in all types of financial career paths rely on excel to perform their daily job functions. Financial modelingTemplatesFree business templates to use in your personal or professional life. Templates include Excel, Word, and PowerPoint. These templates can be used for transactions, legal, financial modeling, financial analysis, business planning and business analysis. Download and use these financial business templates for free.